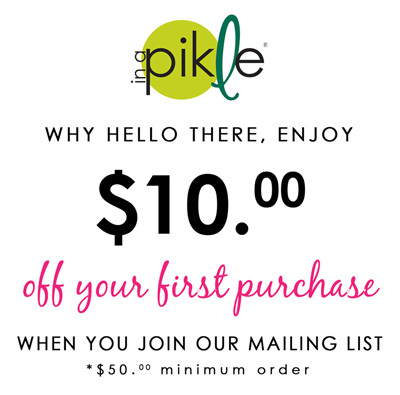 Keep keys, cameras, or your “Pikle” ready for action with an “In A Pikle” Wristlet. The “Ruby Red” Wristlet is a must have for your “Ruby Red Pikle”as it can be used as an accessible key chain or attach it to your bag. It is accented with a heavy duty gold clasp and measures 6” in length.